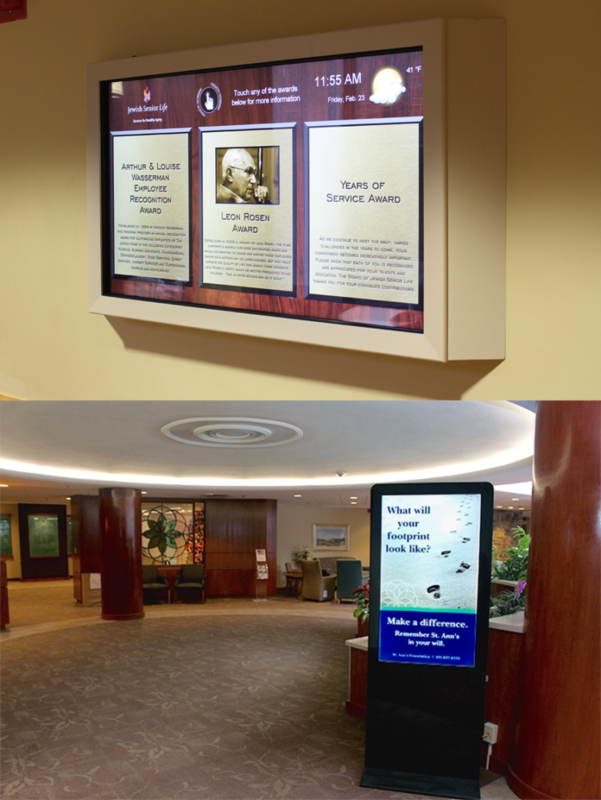 Digital signage in a senior living environment is meant to inform and ease stress. With all the activity in a residential facility, digital signage keeps residents updated on fun activities, bus schedules, group outings, daily menus, and more. Interactive kiosks are an infinitely useful tool in a senior living community. Interactive kiosks empower users to explore the content they find most useful to them, thus improving communication throughout your facility greatly. 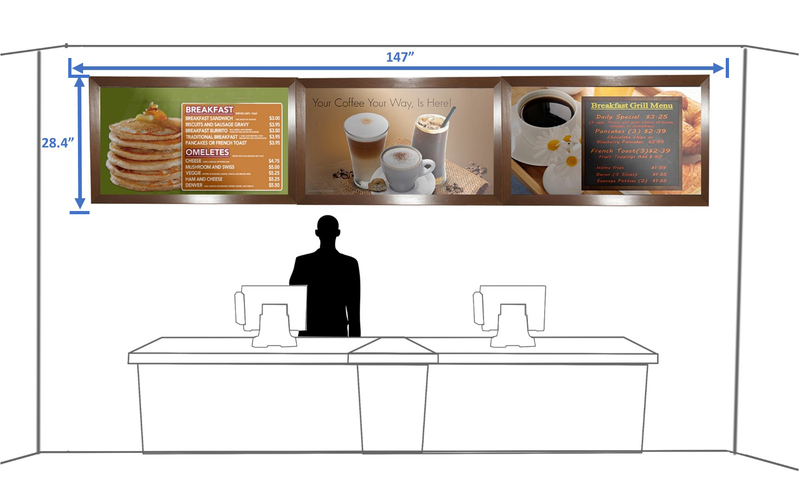 Click here for more information on interactive kiosks! 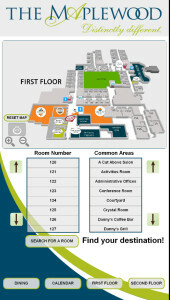 Interactive wayfinding empowers your audience to find their location quickly and easily. We start with a floor plan and design a beautiful 2D or 3D rendering of your facility with dynamic turn-by-turn directions. Large spread, multi-floored facilities can be easily navigated with this helpful tool. A wayfinder can be incorporated right into your interactive kiosk, meaning it can serve many purposes aside from navigation. Your wayfinder can also feature all of the same aspects as any interactive kiosk designed by Empire Digital Signs. Click here for more information on digital mapping. Click here to request a wayfinder consultation. 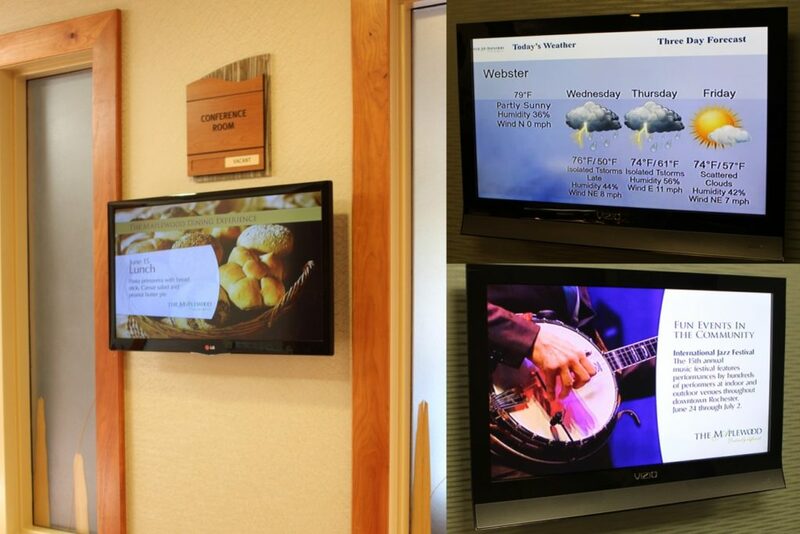 Digital signage makes conveying information to a wide audience both quicker and more efficient. With the ability to tie into databases, schedule and day-part your content, and push any message onto any screen, residents will always have the information they need to stay both informed and involved. For information regarding New York State regulations on menu posting, click here.